MAX-3D enables 'Through-Silicon Via Wafer Stack' Technology - a technology allowing faster interconnects between discrete wafers. 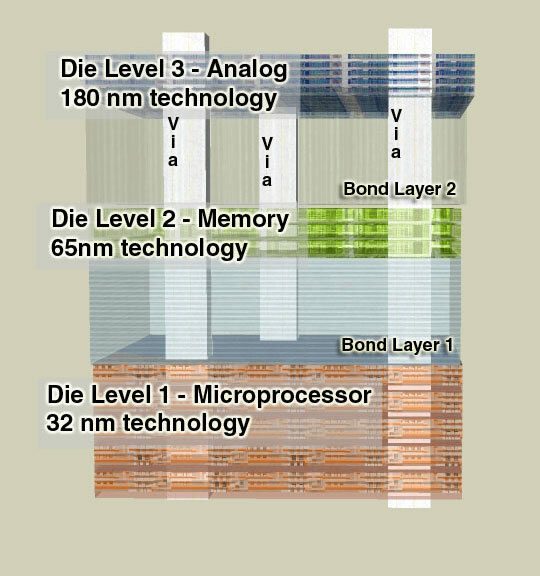 This is accomplished by connecting wafers of varying technologies together with vias through the wafers yielding a single 3-D stacked chip. 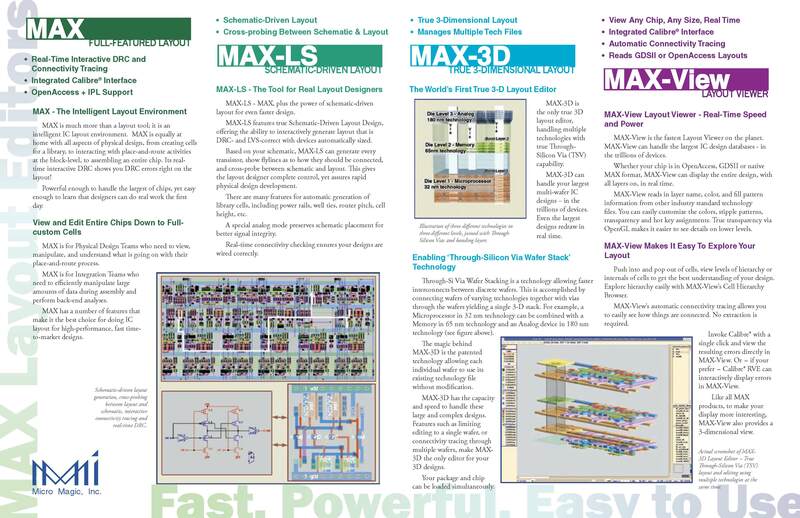 MAX-3D maintains discreet technology files for each wafer level, while allowing edits to individual levels, or to the stack as a whole. The video below illustrates how layers can be made visible, edited independently, or as a unit. All MMI tools interface seamlessly with other point tools. You have the ability to augment your existing flow with MMI tools as desired. All MMI tools run on LINUX, are straightforward to set up and use, and all tools include on-line documentation and tutorials. MMI tools are so easy to use than any engineer can install them in the morning, and begin producing layout in the afternoon. MMI prides itself on customer service and timely response to queries and comments. 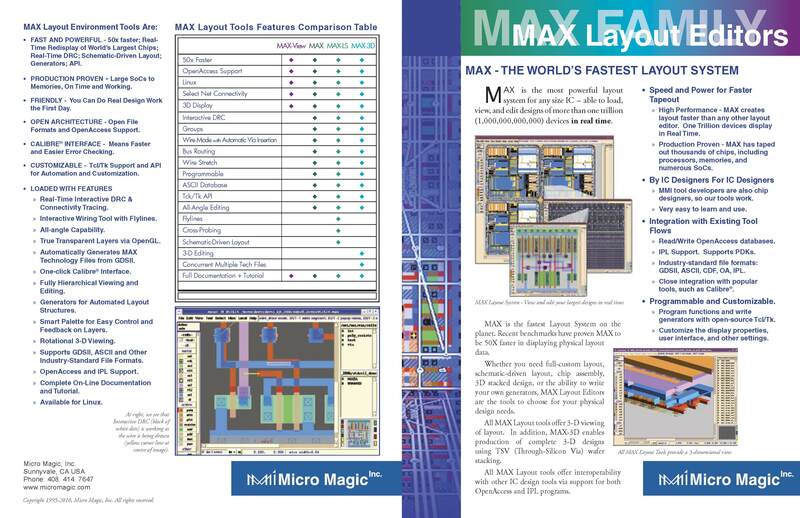 Proven Layout Tools by Proven Layout Designers.